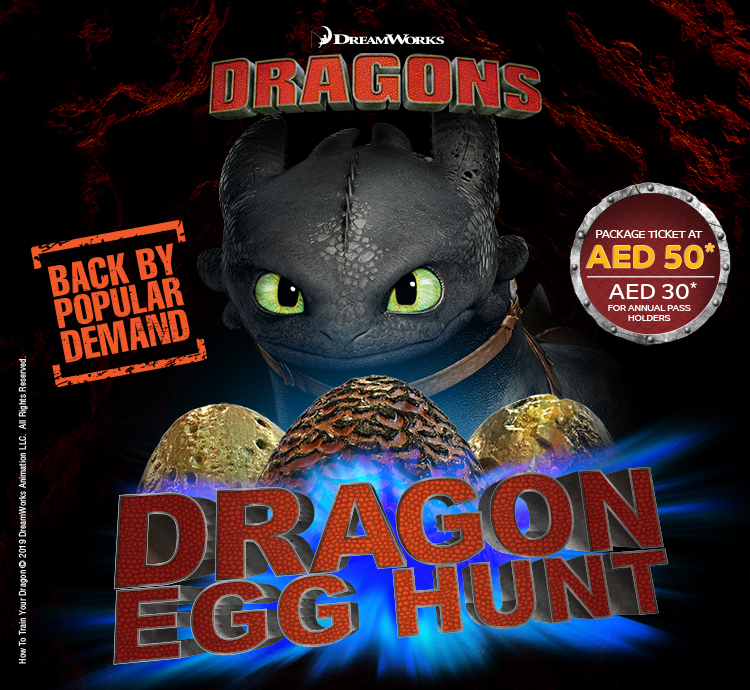 Dragon lovers will enjoy exclusive entry to the How To Train Your Dragon land from 2:00PM to 6:00PM, search for rare dragon eggs, ride the truly amazing Dragon Gliders coaster, Meet and Greet their movie heroes Hiccup, Astrid and the one and only Toothless!! Children can also feast like Vikings at a delicious buffet and explore and wonder at our bioluminiscent passages. 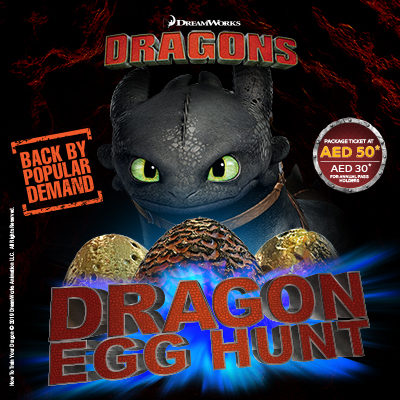 This ticket includes park entrance, egg hunt, chocolate eggs, kids buffet and meet and greet with Astrid and Hiccup. Annual Pass Holders will pay AED 30 only per voucher! Accompanying parents who wish to eat from the buffet are required to order regular menu items from Dragon Flame Restaurant. This offer is only available online and via the call center. Ticket is valid for entry for 1 day at Motiongate Dubai between 25th, 26th and 27th April. Children under the age of 4 enter for free. Valid ID proof is needed.